So often, we hear from customers wanting to learn all about Solomon’s Seal. We created this page to help you understand more the historical and contemporary use of this herb, including health cautions. SOLOMON’S SEAL (specifically the commonly used varieties of Polygonatum biflorum, multiflorum, odoratum, siberian, and odoratum) is an invaluable herb with a worldwide history of use dating back thousands of years in Asia, Europe, and North America. 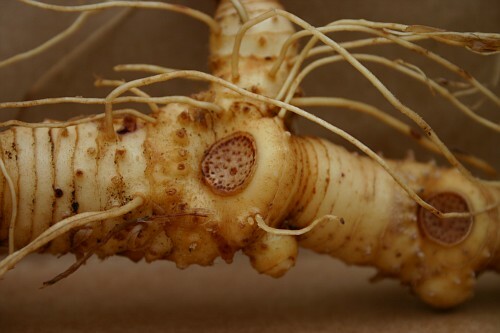 The root of the plant appears to have restorative properties that address certain health disharmonies, as noted on this website and below. The information presented on this website is intended for educational purposes only. These statements have not been evaluated by the FDA and are not intended to diagnose, cure, treat or prevent disease, illness or distressing conditions. Individual results may vary. It is always advisable to consult with your own health care provider and/or to fully educate yourself as to the benefits and possible complications of any alternative form of treatment. Solomon’s Seal is named for King Solomon of Hebrew lore who 3500 years ago was granted great wisdom by the Hebrew God and had a special seal that aided him in his magical workings, allowing him to command demons without coming to harm. 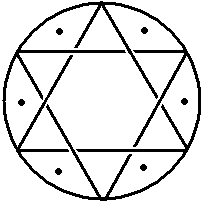 According to herbal lore, King Solomon himself placed his seal upon this plant when he recognized its great value. Those with imagination can see the seal on the rootstock in the circular scars left by the stem after it dies back. 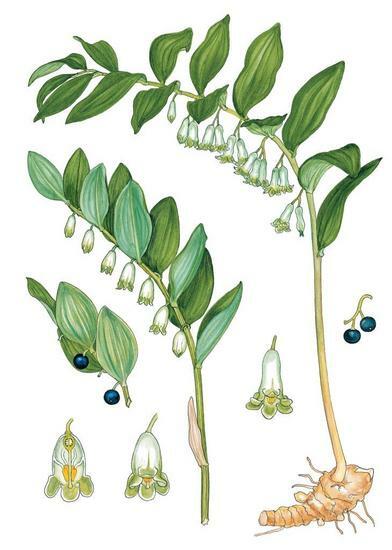 For many centuries, Solomon‘s Seal (polygonatum siberian and odoratum varieties) has been considered one of the top ten medicinal herbs in Asian medicine. 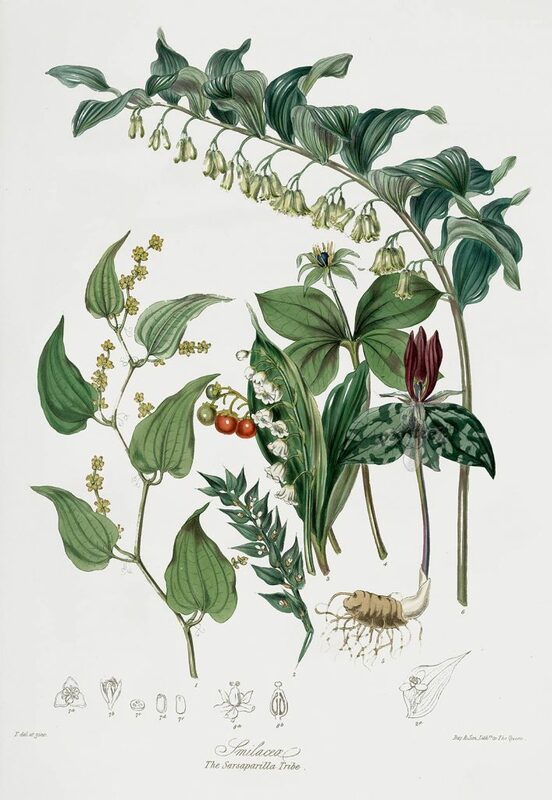 In A.D. 130-200, the most famous physicians of the day — Galen, Dioscorides, and Pliny — all recommended the use of Solomon’s Seal root for blemishes, bone repair, joint restoration, feminine health, and as a heart tonic. 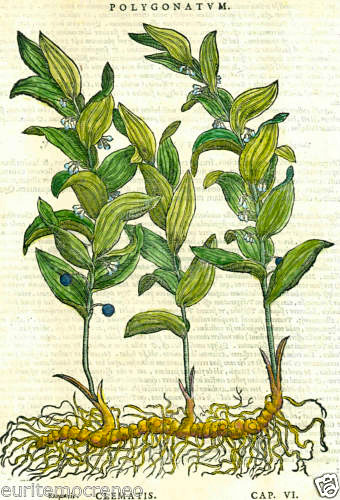 In his 1640 publication, Theatrum Botanicum, John Parkinson, a renowned British herbalist, noted that Italian women used the root to improve their complexions and retain their beauty and agelessness. 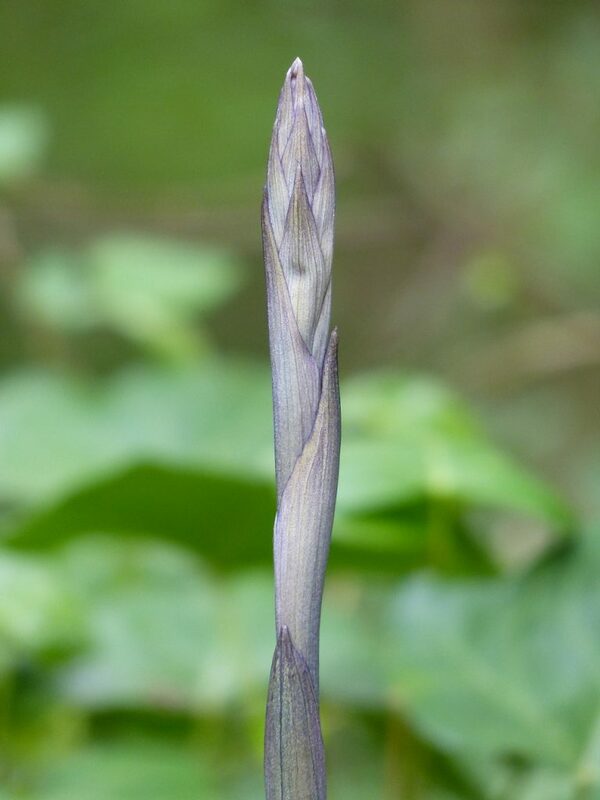 In some countries, it is boiled and eaten as a vegetable similar to asparagus, and it has also been used in snuffs to induce sneezing and relieve head congestion. 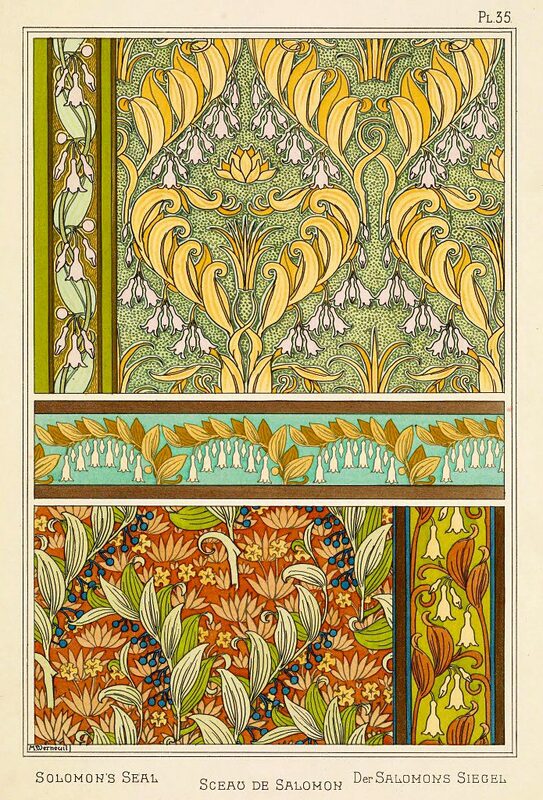 The Solomon’s Seal variety known as multiflorum was first discovered in North America by early European colonists finding its same visual and therapeutic characteristics as their European counterpart biflorum. 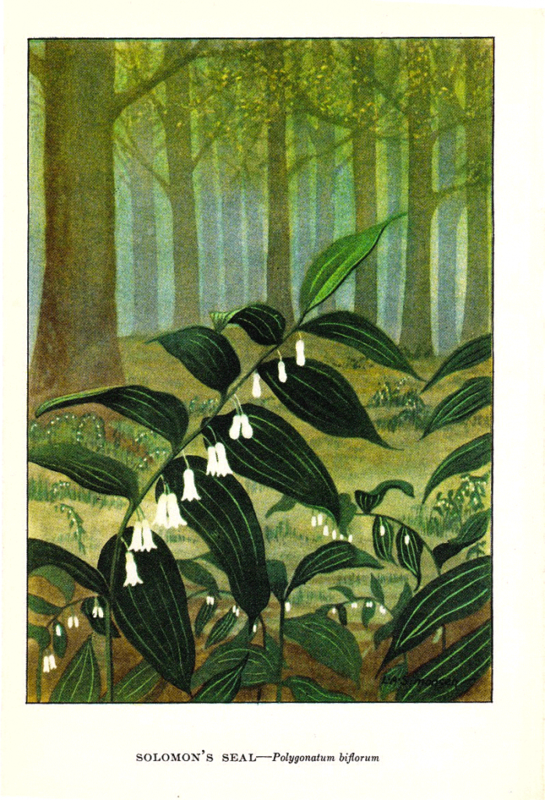 In 2010, the U.S. Department of Agriculture (Natural Resources Conservation Service) identified Solomon’s Seal as a Culturally Significant Plant, noting its medicinal and restorative value among North American Tribal (Original Nation) peoples. It is our understanding that the National Institutes of Health is presently researching the benefits of Solomon’s Seal for heart health. Please view the videos below to learn more about the use of Solomon’s Seal among North American native cultures. 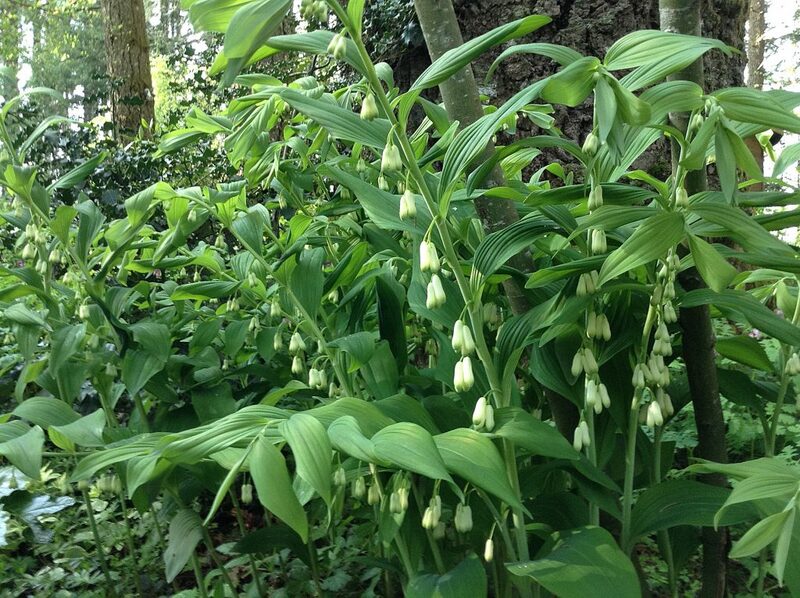 Solomon’s Seal is a lovely woodland perennial with native varieties in North America, Asia and Europe. True Solomon’s Seal (the variety used for its restorative qualities) is native to most of the eastern and mid-western United States. The false version is more native west of the Rockies. As a member of the vast Lily family (Ruscaceae; Liliaceae), it can grow up to two feet tall. It prefers a light soil, good mulch and a shady location. It can be grown by division or by seed. It will return year after year and spread itself. It is a lovely, delicate addition to a shade garden. 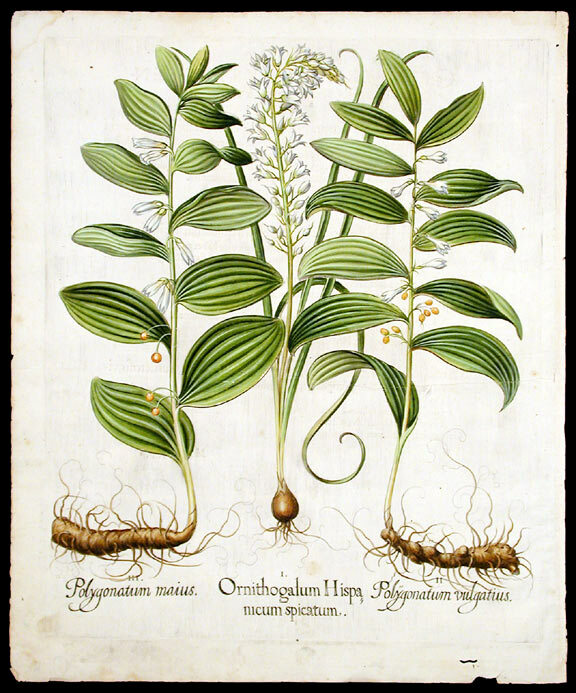 Solomon’s Seal was well-known by early botanists in Europe and North America. The plant is visually attractive, and was often illustrated in the 19th & 20th centuries in botanical studies. It is commonly depicted in tapestries throughout history. As gardeners we have enjoyed integrating the striking characteristics of Solomon's Seal into our woodland gardens at Cortesia Sactuary. We've assembled a FREE guide (pdf) detailing all the botanical qualities, and how to grow it yourself. By looking at the phytochemical composition of an herb, through science and/or observation, a cause and effect relationship can be made. Many of the components of plants have been so well analyzed that they form the basis for laboratory research and the creation of drugs and treatments. Most pharmaceutical drugs begin their creation by integrating knowledge about the known researched or observed effects of phytochemical nutrients in plants. Medicines, when prescribed by a doctor, can be characterized by their general and specific effects. Herbs can be seen in a similar way. Herbs, however, when well-prepared, can be more benign overall toward health disharmony, with fewer side effects. Herbal remedies can catalyze a deep healing response, moving to rally the body’s resources. Laboratory analysis of the herb yields the following chemical properties: steroidal saponins, glycosides, polysaccharides, alkaloids, anthraquinones, flavonoids, asparagine, allantoin, convallarin, Vitamin A, pectin, starch. Some of these properties can also be found in other herbs. Below are seven historical and restorative qualities of Solomon’s Seal, according to well-known categories recognized in medicine and herbalism. Jim McDonald, an esteemed American herbalist, is especially outspoken about the therapeutic and restorative qualities of true Solomon's Seal. Enjoy this video of Jim casually and passionately discussing this prized herb. Solomon’s Seal is safe for most adults when taken for short time periods. As with many herbs and medications, it may cause some side effects such as diarrhea, stomach complaints, and nausea when taken for long time periods or in large doses. The serving size suggested for taking the herb as a tincture or tea has very minimal risk. However, it is sensible to create a protocol that does not create a dependency, such as 6 days of ingestion to 1 day off, or 10-14 days ingestion and 2-3 days off. Pregnancy and breast-feeding: Not enough is known about the use of Solomon’s Seal during pregnancy and breast-feeding. However, as with taking any drug or medication, consultation with a medical practitioner may be appropriate. Diabetes: Solomon’s Seal might decrease blood sugar levels. There is potential that it might interfere with blood sugar control. If you use Solomon’s seal and take diabetes medications, monitor your blood sugar closely. Again, medical consultation may be appropriate. Surgery: Solomon’s Seal might lower blood sugar levels. It might interfere with blood sugar control during and after surgery. Chlorpropamide (Diabinese) may interact with SOLOMON’S SEAL. Chlorpropamide is used to decrease blood sugar in people with diabetes. Solomon’s Seal might also decrease blood sugar. Taking Solomon’s seal along with chlorpropamide (Diabinese) might cause your blood sugar to go too low. Monitor your blood sugar closely. The dose of your medication might need to be changed. 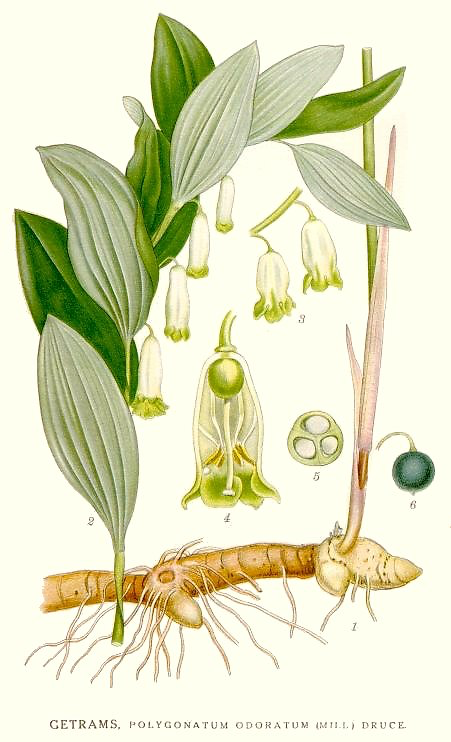 Insulin may interact with SOLOMON’S SEAL. It might decrease blood sugar. Insulin is also used to decrease blood sugar. Taking Solomon’s Seal along with insulin might cause your blood sugar to be too low. Monitor your blood sugar closely. The dose of your insulin might need to be changed. Medications for diabetes (Anti-diabetes drugs) may interact with SOLOMON’S SEAL. Solomon’s Seal might decrease blood sugar. Diabetes medications are also used to lower blood sugar. Taking Solomon’s Seal along with diabetes medications might cause your blood sugar to go too low. Monitor your blood sugar closely. The dose of your diabetes medication might need to be changed. Some medications used for diabetes include glimepiride (Amaryl), glyburide (DiaBeta, Glynase PresTab, Micronase), insulin, pioglitazone (Actos), rosiglitazone (Avandia), chlorpropamide (Diabinese), glipizide (Glucotrol), tolbutamide (Orinase), and others.